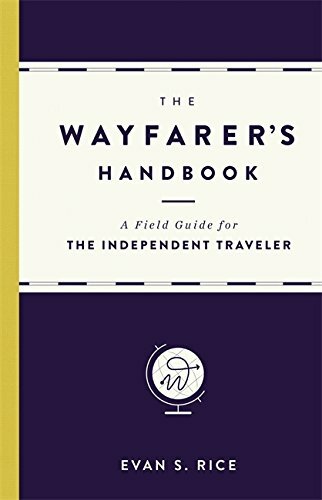 The Wayfarer's Handbook is a treasure trove of information about the art of travel that is specifically crafted for the modern adventurer. The book is an offbeat guide full of actionable advice, a worldwide exploration reference work, an unconventional collection of world trivia, and an exciting resource of inspiration, all designed for use in a great global adventure. With a visual aesthetic inspired by the look of vintage field guides, The Wayfarer's Handbook is tailor-made for modern readers, providing the distilled essentials of hundreds of interesting topics, presented in a direct and precise but stylish way. This twist on traditional travel genres covers everything from the world's 27 most common travel scams and the fascinating history of hot air balloons to everyday gestures that are offensive in foreign cultures and how to avoid a hippopotamus attack. Sketches, infographics, small maps, and illustrative charts appear throughout, allowing readers to open to any page and discover fascinating new insights into the art of travel. Though The Wayfarer's Handbook is compact enough for the road, it is equally suited to be a gem in the library of anyone interested in exploration. An inventive and visually-appealing passport to the wide world of travel, The Wayfarer's Handbook doesn't tell readers to go anywhere, it shows them how to go everywhere. two years on the road, traveling alone through 31 countries on six continents. He is well-versed in the contemporary independent travel culture and brings a unique, modern perspective to the travel genre.